Paul Bunyan’s axe is returning to Madison after the University of Wisconsin football team trounced the Minnesota Golden Gophers during their final game of the regular season. Wisconsin has been phenomenal this year, remaining undefeated despite many challenges that have come their way. The 2017 season was beautifully wrapped up when Wisconsin managed to shut-out their Border Battle rivals Minnesota. 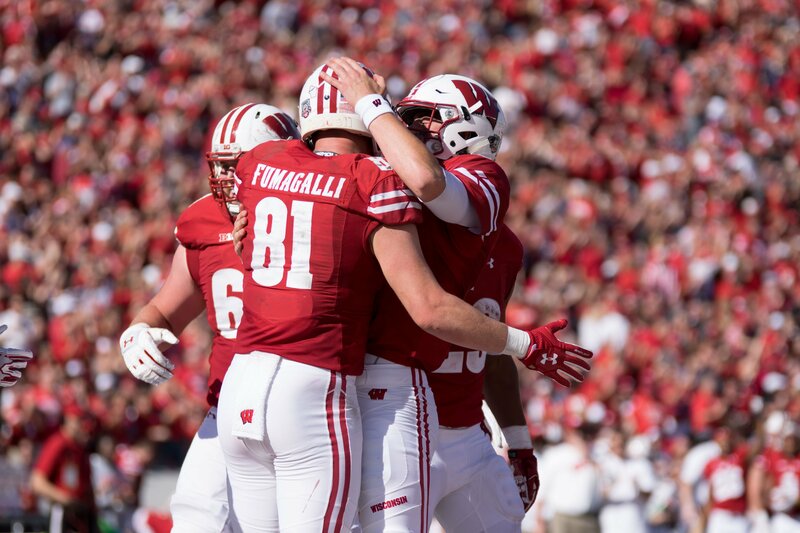 Wisconsin quarterback Alex Hornibrook knows all too well how difficult this season has been, with the starter going through some difficult times during the first few weeks of the season. Struggling with interceptions since week one, Hornibrook has been fighting an uphill battle to place the ball in his receivers hands. Hornibrook has been working to prove fans and critics wrong, challenging himself with each game to try and get better. Minnesota would be the turning point for him this season, as Hornibrook would throw for an impressive 151 yards, completing 15 out of 19 passes, earning Wisconsin three touchdowns. The Wisconsin quarterback was not the only one who was shining in Minneapolis today, as UW’s defense made a strong case for why they should be considered the No.1 defense in the nation. It would be a challenge that the Minnesota offense would be unable to compete with, and the Gophers would only gain 133 yards throughout the game. Wisconsin’s defense was lead by Ryan Connelly, who earned two sacks Saturday. UW’s linebacking core would prove to be too dominant for the Gophers to handle, with the Minnesota offensive line caving to the pressure that Wisconsin would generate throughout the game. The Badgers showed strength, heart and determination, earning their final victory in a perfect season. Wisconsin now awaits for the College Football Playoff committee Tuesday to release their latest poll. 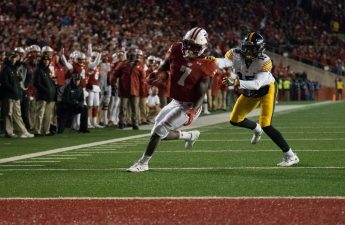 With Miami losing during their final game of the season, and the Alabama vs. Auburn game throwing the ranking system into a loophole, it is unclear if the Badgers will be able to break into the top four of the polls. Wisconsin has been dealing with the constant oversight of the CFP committee this year, and it is highly possible that the Badgers might miss the CFP semifinal tournament due to this same oversight. A solid performance next weekend against Ohio State would help seal Wisconsin’s fate in the CFP semifinals, hopefully earning UW the final spot in the playoffs. The pressure will be on for Wisconsin next weekend if they want to compete against the best teams in the nation. For now, Wisconsin and its seniors should raise that axe high, knowing that they have given Madison some of the best football in the nation. There is no doubt that UW is one of the best teams in the Big Ten, and in the nation.